It's good to remember that dictionaries of the single-language variety are largely a product of nationalism and the rise of the nation state. The OED first edition appeared in 1858. The German language's Duden came out in 1880. Dictionaries are bred of the ideology: one nation, one language...My thought is that we need standards not to facilitate our communication, but to give expression to an idea, a conception, or ideology, that we are one. And that, finally, is what dictionaries are for. They are monuments to our conception of ourselves as a community. Also, I have recently started using Bryan Garner's third edition of Garner's Modern American Usage. Garner's usage guide is strongly prescriptivist – recommending howwe ought to use language in addition to describing howwe do use language. If dictionaries are monuments of ourselves, then usage guides like Garner's are monuments of who we ought to be, or at least who the author thinks we ought to be. In a 2001 review of the first edition of Garner's guide, the late author and essayist David Foster Wallace writes at length about "the seamy underbelly of U.S. lexicography," its ideological work and why he thinks Garner is the prescriptivists' supremo. Garner recognizes something that neither of the dogmatic camps appears to get: Given 40 years of the Usage Wars, "authority" is no longer something a lexicographer can just presume ex officio. In fact, a large part of the project of any contemporary usage dictionary will consist in establishing this authority. If that seems rather obvious, be apprised that nobody before Garner seems to have figured it out — that the lexicographer's challenge now is to be not just accurate and comprehensive but credible. That in the absence of unquestioned Authority in language, the reader must now be moved or persuaded to grant a dictionary its authority, freely and for what appear to be good reasons. 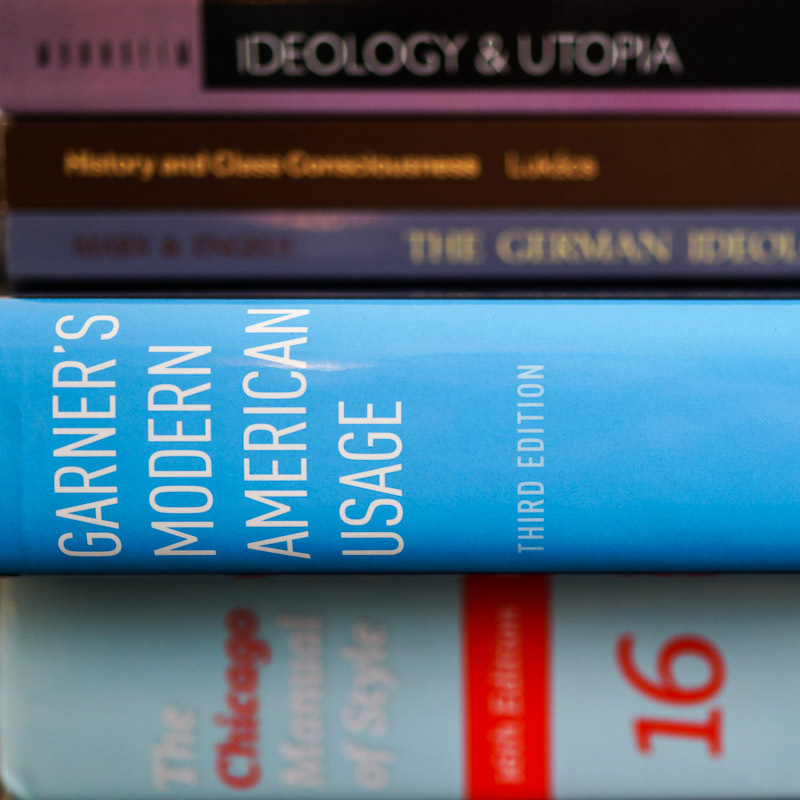 Garner's A Dictionary of Modern American Usage is thus both a collection of information and a piece of Democratic rhetoric. Its goal is to recast the Prescriptivist's persona: The author presents himself as an authority not in an autocratic sense but in a technocratic sense. Which returns us to the present and the main concern of Noë's recent article. If dictionaries seem quaint today, it may be because they are fighting yesterday's battle — how to shape a conception of ourselves as distinct, as one, as a community — but the battles we face today are different. Increasingly our new self-conceptions are themselves pluralistic. One nation, one language was never true. But now it is an increasingly forgotten myth. England, France, Germany, the United States, these are pluralistic, multi-linguistic countries. If dictionaries are monuments to a nation's self-conception, what should the dictionaries of these nations look like now? What is our self-conception now?